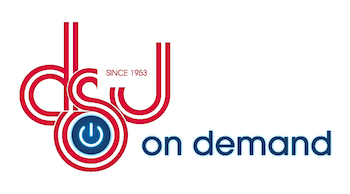 DSJ On Demand - Gives You Control of Your Print Communications! The ability to manage your print communications from desktop or a laptop on the beach, to your doorstep is literally a click away with DSJ On Demand, the new online print collaboration, ordering and management system from DSJ Printing, Inc. This powerful new tool provides easy access to create, order, ship and manage marketing materials of all types – sales collaterals, promotional items, postcards and more - while maintaining control of your brand standards and integrity you’ve worked so hard to build. DSJ Provides the tools needed to reduce costs and lead times, manage ever-changing inventories, streamline procurement, fulfill sales and customer expectations by simply clicking a mouse, phone or tablet! Total Security - Permission based logins give users differing levels of access and permission to create, order, and manage products within the system. Maintaining corporate branding standards and identity – The ability to create templates with approved e-graphics and text blocks gives the company greater control of their brand. Convenient Ordering 24/7 – now your sales team has access to the tools they need exactly when they need them, wherever they are. There’s no waiting to reach the marketing department to customize and place an order. Easy to use order interface – A simple click on your customized corporate link takes users to a company branded site they can easily navigate to find the product they need, reducing time and aggravation. Quick Re-Orders – The system allows you to view previous orders and simply duplicate them without inputting the info multiple times. Email notifications of shipping /tracking information - Know exactly where an order is and when it is scheduled to arrive – no more calls, tracking down orders. Quantity Control – Print On Demand technologies allow you to order only the quantity needed, eliminating; warehousing costs, obsolete materials piling up and going out “by mistake”, as well as the need to destroy them when prices, branding or content changes. 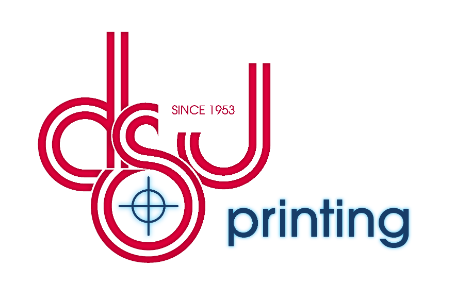 Multiple print methods – Unlike most companies providing this type of ordering system, we don’t confine you to digital print methods, we provide all of our different service methods through DSJ On Demand. Monitor marketing sales tools usage – The ability to view materials and media frequently used for various sales situations, allows marketing to monitor and determine if certain tools should be upgraded or eliminated based on usage which can significantly increase the success rate of the individual sales person. Anyone who wants to streamline processes, reduce waste and inefficiencies associated with producing and delivering marketing materials, sales collaterals, stationery, promotional items and more. All this while maintaining the environmental stewardship, outstanding service and quality DSJ is known for! Take Control of Your Print Communications!